This past weekend I traveled from Lima to the city of Ayacucho (aka Huamanga), where my family is originally from, on my dad's side. 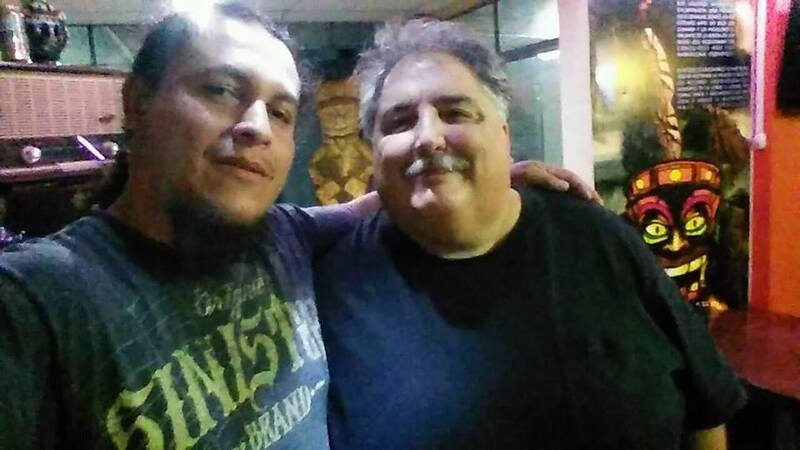 There, I had a great time meeting Richy Ledesma, a craft brewer whom I'd been in contact with on FaceBook and who is also friends with a couple of my cousins. Further, it also means that Richy does not have easy access to examples of the styles he wishes to brew nor to a support community of fellow brewers. One result of that is that some of El Oráculo's beers are not quite consistent with what we, in the US, would consider the standard for those beers --for example, Punana Porter falls a bit shy when it comes to body and mouthfeel. 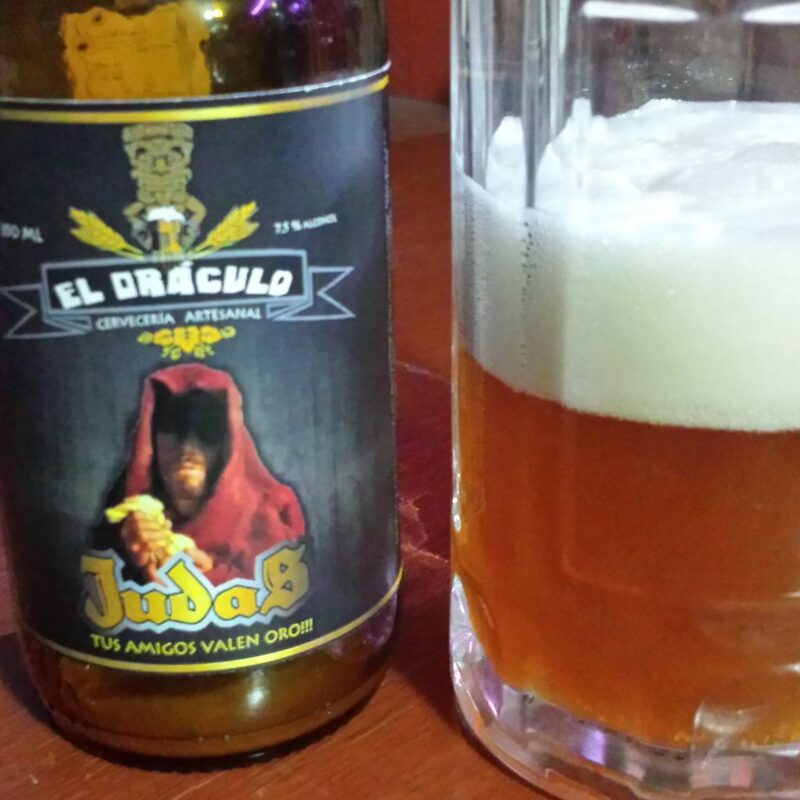 El Oráculo's tastiest beers are, by far, Judas and La Vidente. Judas is a 7.5% abv, 30 IBU, 13 SRM, smooth pale ale with a lovely white head. I didn't take any notes, so I'm going from memory here, but I believe Richy said that he used Columbus and Kent Goldings hops in this one. 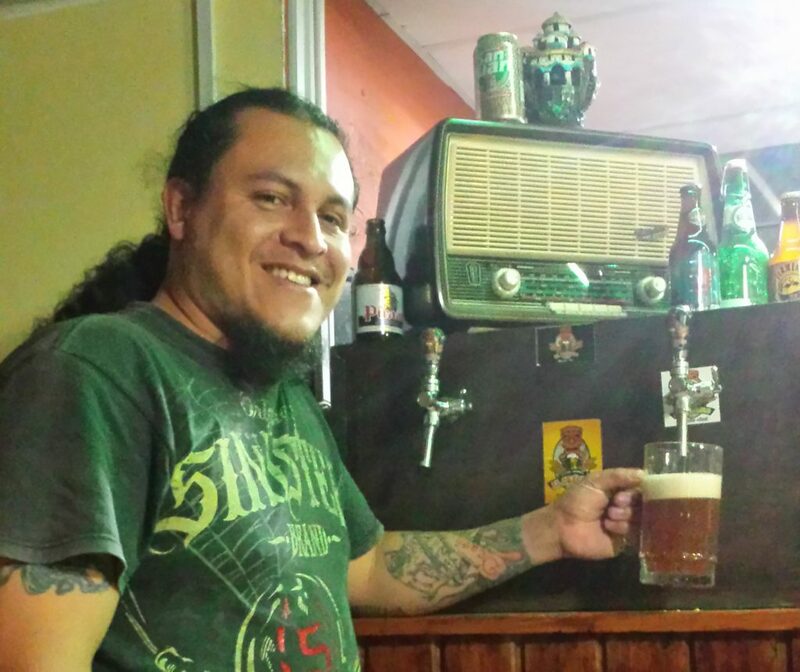 La Vidente is El Oráculo's biggest beer, coming in at 13% abv. One wouldn't know it, though, when drinking it. It has a bit of warmth, but is not "hot" with alcohol. Rather, tropical fruit notes predominate in the mouth and nose.